(5) Available for two swivel and two fixed castors; or two swivel with total lock and two fixed castors . 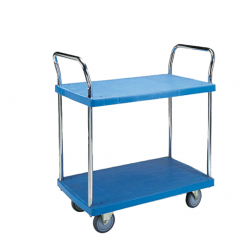 (6) Standard color: blue Other colors on requestCastor with precision ball bearings not only easier to push but also light and stable under any floor condition. Anti-acid and alkali Durable Artistic Low noise Easy to clean Suitable for a variety of application; ex.industry; catering; office; transportation; storage; electronic; home usage---.